Hello again everyone! It’s been slightly over a year since my last post and it is a shame that those reminders for update I purposely placed in several entries were ignored by the very person who inserted them at the first place. Haiya! 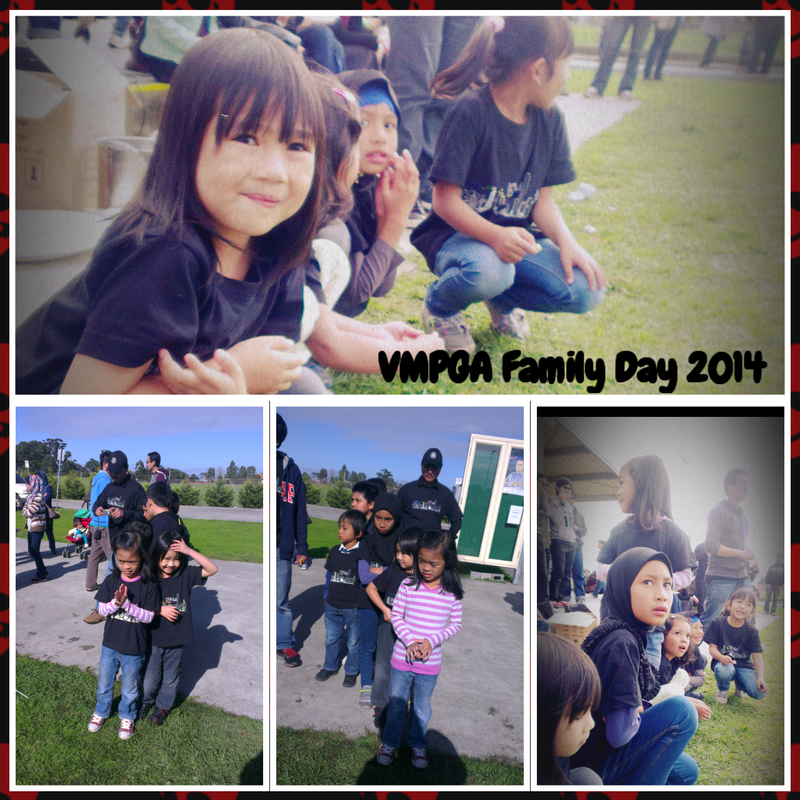 Last Sunday (May 11th, 2014), the long anticipated VMPGA Family Day 2014 finally took place. After so much efforts being put in and perhaps 1000 messages on Whatsapp, the team finally saw it through and I am proud to say that it was pretty good. Honest! The event went as scheduled, the formalities was kept to the minimum and most importantly the kids and parents had tonnes of fun. I personally appreciate the event because it gave me opportunities to catch up with other friends. Indeed, it has been a long time since we had such gathering and credits should be extended to the committee and this year’s host, South Eastern Family Community (SEFC) for securing a great venue for the event (despite the many hiccups they had to endure) and we are extremely proud with the amount of commitment showered by participating kampungs. They are but not limited to Kampung Victoria North Melbourne (KVNM), Desa Bundoora (DB), SEFC and the Malaysian community in Geelong. Anyway, moving on to the program itself. The real star of the day were the kids as they had too much fun playing! During the opening ceremony, they get to participate in a coloring contest and all participants received their share of prizes for the contest, including Iris. The telematch games were mostly catered for the children’s interest while parents had one game each for mom and dad. The organizer came up with interesting names for the games that none of us could guess how they were played: Vodafone, Tangan Emas, Kaki Emas and Saya Sayang Papa dan Mama. Who would guess that Vodafone involves 6 children passing water balloons, or Kaki Emas required fathers to become sepak raga stars? And shouldn’t Tangan Emas be Mulut Emas as moms were put on the spot to say the name of vegetables lah, fish lah, car lah, states in Australia lah and other tasks that required us ladies to use our brain power! Hahahahaha. With that sorted, I have to say Aman did a great job as the MC of the day. I reckon the smooth running and great timing of the events was attributed to his efficiency and the participants’ quick responses to the needs of the different games. The stars of the day – them kids! I didn’t stay until the end as I promised to meet up with a cousin who had just arrived from Kuala Lumpur. Iris and I took a ride in Dr Rahaman’s car to Chadstone Shopping Mall (it is huge!!) and from there we caught a bus to ferry us to Holmesglen train station. Holmesglen station is about 30 minutes from Flinders Street station and boy, we ran like mad to catch the train! Iris enjoyed it and I kinda liked it too. Well, you don’t get to run like mad to catch the train with your 6 year old daughter every day, right? The photo collage that accompany this entry is my FIRST collage using an app called ‘Photo Collage’ recommended by Nadiah. With collages, I can still upload the amount of images that I want to share, without having to stretch my data plan should I upload them individually. See, you learn new things every day. 🙂 Until the next entry, have a a great day ahead!